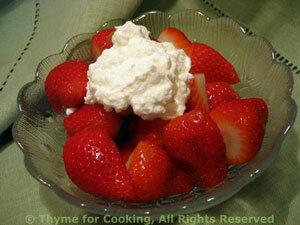 Strawberries and Ricotta Cheese, Thyme for Cooking easy spring dessert. Mix ricotta, sugar and vanilla. Put a dollop of Ricotta Sauce on the berries and serve.